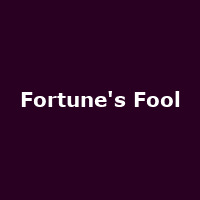 "Mike Poulton's adaptation of Turgenev's savagely funny play, Fortune's Fool, is directed by Lucy Bailey, in this new production which stars Iain Glen and Richard McCabe. A pair of newlyweds arrive at their country estate to be welcomed by Kuzovkin (Iain Glen), the penniless gentleman-in-residence. Their wealthy and mischievous neighbour Tropatchov (Richard McCabe) calls by for a seemingly innocent celebratory lunch. Fuelled by champagne the proceedings degenerate, leading to a shocking revelation with far-reaching consequences. Fortune's Fool was last produced on Broadway in 2002 with Alan Bates and Frank Langella, both winning Tony Awards. This Old Vic production of Fortune's Fool marks its West End debut."